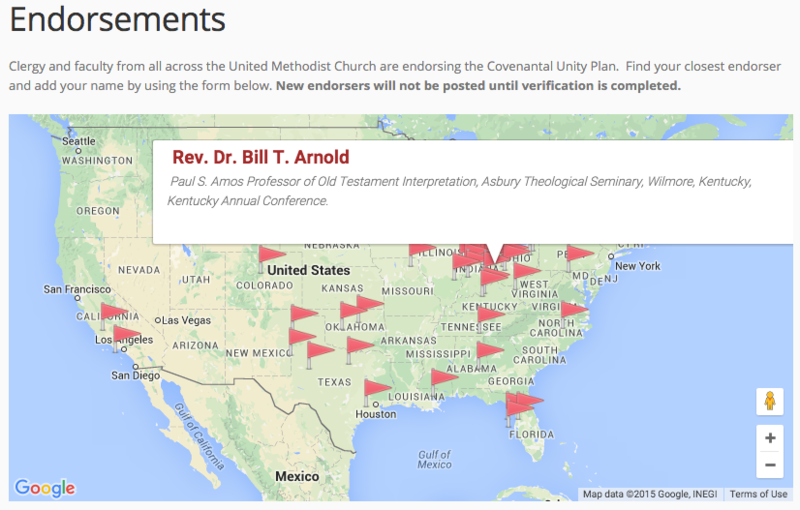 It’s important the Methodists understand the issues at play in the Covenantal Unity Plan (CUP) that came out this week. 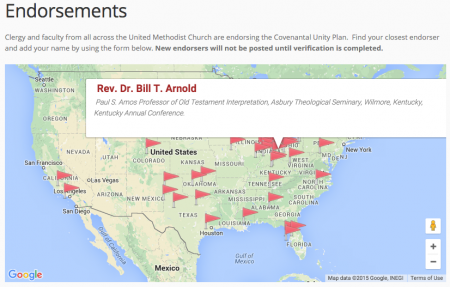 As your one-stop shop for unity/schism plans within the United Methodist Church, read on for informed analysis. Who wrote the CUP Plan? PlanB in 2012 refused to name their originators at first. Their resulting proposal PlanUMC ended up being declared unconstitutional. The 80 schismatic clergy have never been named (my interpretation: out of fear of not being elected to General Conference). So whenever a proposal comes out without names behind it, we should be wary. I know Traditionalists react badly to being asked questions of “who wrote this,” but really: hiding identity while calling for more accountability is an odd combination. That’s not to say that CUP is not without identification of its origins. Proposals 5&6 were originally written by Rev. Dr. Bill Arnold of Asbury Theological Seminary. Proposal 1 was originally written in the A&W plan by Dr. Arnold and Rev. Dr. David Watson of United Theological Seminary. Given that theawplan.org both hosts the broken cup logo and redirects to the CUP plan, it’s probably safe to assume of its origins or at least influence. We’ll start out easy. The first two Proposals articulate reforms of the judicial process that takes place whenever someone is brought up on charges. These are not neutral reforms: 9 times out of 10, they relate to a minister who has officiated a same-gender wedding or has identified themselves as lesbian or gay. Proposal #1 requires that the person making the complaint is party to the just resolution phase. This has been a sticking point of Dr. Arnold, featured in previous HX coverage here, who claims it is not a just resolution without agreement by the person making the complaint. What this means is that the complainant takes the power away from the reconciliation process and can force any complaint to go to a retributive process (clergy trial). Currently, the complainant (who may not live in the accused’s ministry area) does not have to consent to the reconciliation aspects just resolution, and thus cannot force a trial. Proposal #2 requires that the just resolution process include an apology and commitment to not officiate weddings anymore. *Shrug* No opinion. This first Proposals reframes the just resolution process as retributive rather than reconciliatory. And the following two Proposals make it even more so. This is the key error in the Proposals. The clergy covenant is practiced between members of an annual conference , and the episcopal covenant is practiced between members of a college (jurisdiction) of bishops. However, two of the proposals expand these Covenants to ensure greater ability for retributive actions. Proposal #3 removes the accountability process for a complaint against a Bishop away from their jurisdiction and into the hands of the global UMC. It gives numerous powers to the Interjurisdictional Committee on the Episcopacy, which previously was charged with transfers of Bishops to serve vacancies or to recommend reductions in numbers of bishops when jurisdictions’ populations shift. Practically, this means laity or non-Bishop clergy (as chairs of ICE) would be in charge of handling complaints against Bishops–a sharp violation of our practice of peer accountability in the UMC (clergy are accountable to other regional clergy, bishops are accountable to other bishops). Proposal #4 mandates a minimum sentence whenever an individual officiates a same-gender wedding. By moving accountability out of the hands of the annual conference, they deny the ability of the annual conference to hold their clergy accountable and force the resolution to be retributive rather than restorative. Little wonder: Rev. Amy DeLong’s trial in Wisconsin led to a restorative process that articulated the clergy covenant needed to be practiced before it could be a punishment, and we are all bettered by it. Both of these proposals place accountability outside of their appropriate spheres. 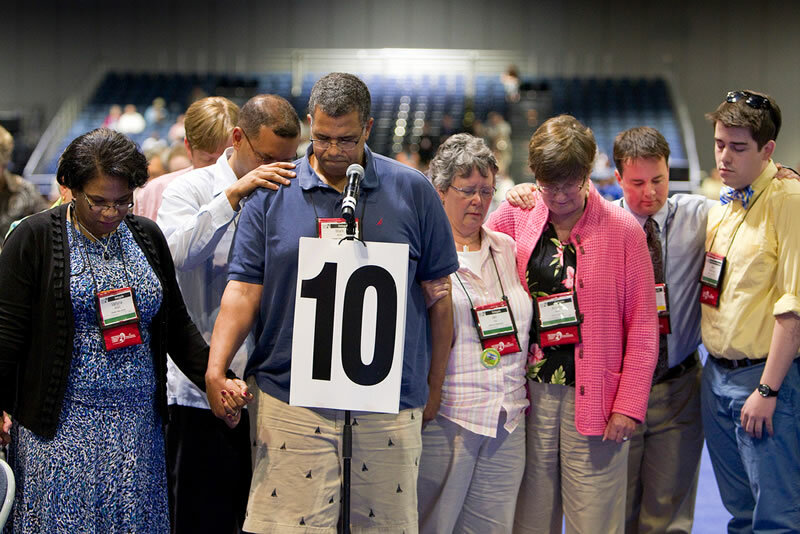 By moving clergy accountability away from the annual conference’s discernment, and moving episcopal accountability away from colleagues to laity, these very proposals violate the covenant to which we have previously agreed. Not even the Holy Spirit can overcome a Book of Discipline minimum sentence–are we sure that’s what we want? Proposal #5 seemingly proposes a process whereby a progressive local church can leave the UMC for more LGBT-friendly pastures. However, the key line is this: “it is in irreconcilable conflict for reasons of conscience with the provisions of The United Methodist Church Book of Discipline.” While this seems like it is for progressives to leave, it can also be read that the UMC’s provisions are not sufficient to keep LGBT inclusion from the UMC. The very first church trial that results in an acquittal or just resolution will be a trigger that the megachurch and local pastor-presided churches can point to in order to leave scot-free. We warned about this with the A&W Plan in 2014, and it continues to apply to the CUP plan. Proposal #6 ensures someone who leaves the UMC does not lose their pension. This is redundant: our pensions are already vested in this way. *Shrug* No opinion. As I’ve written before, we are talking big BIG money here. In 2013, the Top 100 megachurches contributing $46 million dollars in apportionments (church tithes), and having a combined property value of $2.57 billion dollars (billion!). Any ability for a church to defeat the Trust Clause and no longer give a church tithe or risk losing that much money…well, it’s a huge incentive to leave the UMC, regardless of ideology. As you can see, there’s much to be troubled by in the CUP plan. The goalposts are being moved regarding who the clergy covenant is between and for. The judicial processes are being moved to replicate secular society’s retributive system. Caesar’s way is better? And the incentives to exit the UMC for megachurches and churches served by local pastors are increased a thousandfold. Even a Bible Belt annual conference rejected some of these proposals when they came up for a vote in Kentucky earlier in 2015. My hope is that General Conference 2016 held this coming May in Portland, Oregon, also rejects these proposals and maintains the clergy covenant and the judicial processes to continue to be led by the Spirit and not by spite. Sound off in the comments below or on social media. What I hope the legislative committees will do with all such proposals that fundamentally alter our polity (and so are, as presented, very likely unconstitutional) is propose to table them (or simply vote non-concurrence) and then bring forward a plan for a process to address issues of discipline on this one issue (and let’s be clear, we’re really talking about just one issue– no one is applying this to rebaptism, for example) as part of the ongoing worldwide nature of the church conversation from which we expect to have more concrete proposals in 2020. Any other approach is essentially abortive to or at least massively disruptive of the work of that larger project, which is the underlying one that we really need to be having for the long term. I agree that the UMC should probably basically “kick the can down the road” for now, but here’s hoping that whatever comes from the “worldwide nature” conversation is more successful at effecting change than the failed constitutional amendments regarding restructuring (“central conference,” “regional conferences,” geographical differences, etc.). We desperately need change that keeps the church as one body, but that removes the discriminatory language and actions, at least here in the US. I agree with David T. We desperately need this change. I fear another unproductuve GC that equals unconstitutional proposals that get rejected in long run anyways. How does that get prevented in 2016? Faithfulness and accountability don’t seem backward to me. I’m with you, Ryan. The blog author’s objections seem small compared with the current Disciplinary disobedience and moral chaos we are experiencing. Faithfulness and accountability are sorely lacking in our denomination right now. While there may be no names of authors attached to the Covenantal Integrity plan, I’d gladly put my name on it. Yes, and I am not saying the current BOD is perfect or that it can’t be amended or changed. If people want to do that, then I think we need to continue to dialogue and find solutions to make it better. But it is the BOD that we have. By and large it is the BOD and basic agreements theologically that elders and deacons currently serving were ordained under. I do lament that this applies or seems to to just same gender sexual and relational issues. Why not ensure that our pastors are believing and teaching core doctrines? I talked with a fellow elder who said they worked with a Senior Pastor who regularly re-baptised (as if that is a thing). I can’t tell you how many pastors I meet who don’t believe in Original Sin, when it is the 7th Article in our Articles of Religion. Etc etc. I do grow weary about homosexuality being singled out. I love the CUP plan. It is filled with grace, manifested in Truth, unlike the progressive plan. I’m unaware: what is the progressive plan? I haven’t seen one. I have no idea what a progressive plan is either. When I see one presented I would love to openmindedly consider its merits. Isn’t any covenant with accountability (no matter the content of the covenant) basically conform or leave? That is exactly right. A covenant is a two way street. If you are unwilling to follow it, then integrity demands that you leave the relationship. As Christians, when we have disagreements about what it means to be disciples of Jesus, we should be looking at Win-Win type of solutions. If folks in the world are looking for Win-Win solutions to problems, I would think that it is more important for those of us who love God to do the same. Unfortunately, it looks like in our differences in terms of sexuality, too often, we in the United Methodist Church are looking for Win-Lose solutions. I really do think that all involved do really want to follow how God is leading them, and do not have negative motives in their views. In the end, I do not think that this plan as a whole is a way to go forward, for it is definitely completely a Win-Lose solution to our dispute. The Win-Win solution might frankly be in the end for a amicable split, allowing our Churches to part with their property, as long as we take care of our pension liabilities for past service of our clergy and others. So, it might be best if GC 2016 were to “kick the can down the road”, to set up for a possible future split. My prayers are for all United Methodists in this time of trouble ahead. We take our disagreements to conferences where we pray, discuss and decide. GC is the ultimate decision forum. Having achieved resolution we press on. Why is this so hard to grasp? I strongly and completely agree with you brother! 1 – the person who leaves, “shall be entitled to their full pension credit and the (balances in their accounts),” suggests to me that they may withdraw the 401k type funds from GBOPHB. this can not be done presently. 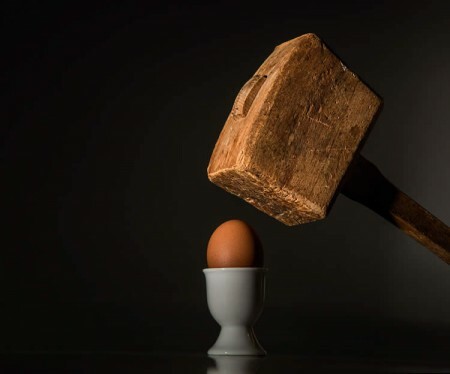 2 – the pension benefit in retirement is based upon a lot of factors – type of retirement (early retirement has a reduced monthly benefit, for example), year of retirement (CRSP-DB monthly amounts vary according to the year the person retires), retiree demographics (are there spousal benefits? age of retirement? these things impact the amount in your monthly check). The benefit one has earned the year you leave will be nothing like the benefit you earn the year you retire. 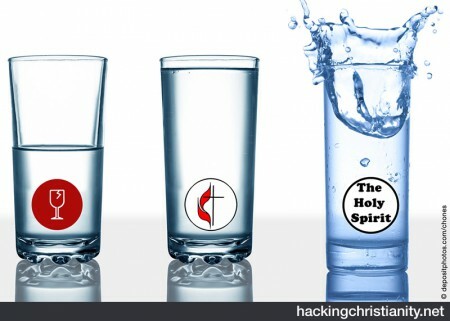 Which level is the departing pastor entitled to? 3 – All these pension programs are guaranteed by the annual conferences. 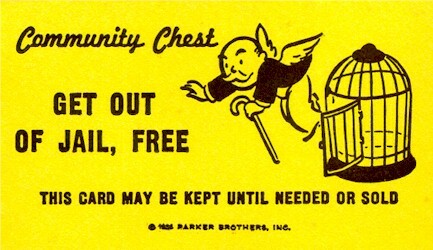 As a dramatic example, if half the churches of a particular conference leave using the other provisions, the remaining half will have a very heavy liability (some 6 billion i want to recall) and very small group of churches to cover that liability should the markets make life harder than assumptions. It took 5 years and over 100 million to recover from the financial crisis of 2008. how is a smaller number of local churches in each annual conference going to be able to handle a challenge of that size? 4 – if events cause a need to reduce benefits for the clergy who remain, would those who left also face the change? It seems that you feel any way ‘forward’ will include some ability for clergy, and/or church congregations, and/or annual conferences to affirm and celebrate homosexuality and homosexual relationships. Is that a fair assertion? (7) It promotes the core values of truthfulness/faithfulness, love/mercy, justice/righteousness for UMC to live in authentic unity and integrity as a true witness of the Risen Christ. Hence, with clear conscience and freedom, a heart filled with the love of God and of neighbors and earnest prayers, I signed my name on the CUP covenant, without any hate or malice against those on the UM Reconciling Ministries Network.